Finance Minister Bill Morneau denied reports that his government is planning new regulations aimed at private mortgage lending. “I’m not currently considering any stress tests on private mortgage lenders,” he told reporters on Monday. 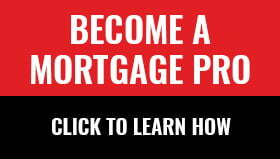 It is estimated that private lending accounts for about 10 percent of the country’s $1.5 trillion mortgage market. Concerns have been raised that the segment is growing now that the stress test for uninsured mortgages—which took effect on January 1, 2018, as part of the new B-20 rules—is making it more difficult for some borrowers to obtain a traditional mortgage from a federally regulated lender. Reuters was the first news agency to report that the government was considering subjecting private lenders to stress tests, similar to those now imposed on federally regulated financial institutions. “Officials from the country’s finance ministry, financial regulator, central bank and federal housing agency have discussed whether the private lenders’ expansion over the past year poses a threat to economic stability,” it reported, citing unnamed sources involved in the talks. Mortgage Professionals Canada put out a statement on Monday to its membership following President and CEO Paul Taylor’s own discussion with Morneau to clarify the report. Some in the industry are openly asking whether someone with an agenda was behind the initial Reuters story, given the news agency’s strict sourcing requirements. “Reuters’ story got a lot of private lending investors worried, and it raises the question: Did someone plant this Reuters report?” mortgage expert Rob McLister wrote in a post.